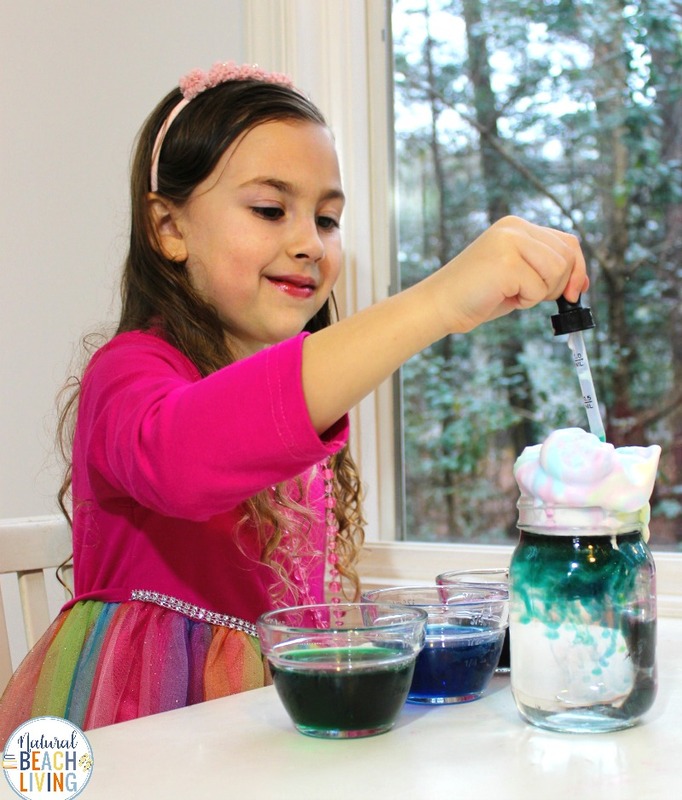 Doing a Rain Cloud in a Jar Experiment is perfect for preschool and Kindergarten science. 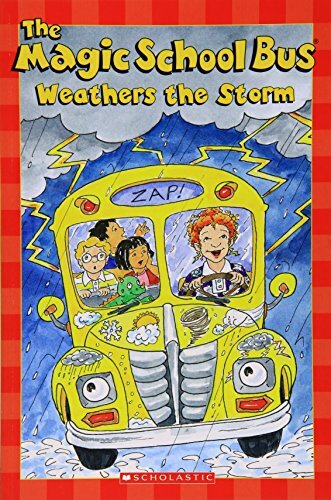 This weather science experiment gives your children a chance to explore clouds and rain with hands-on activities. Simple Science experiments are the best to do with preschool and Kindergarten age children, but the best thing about easy hands-on learning is it can be expanded to meet the age of your children. 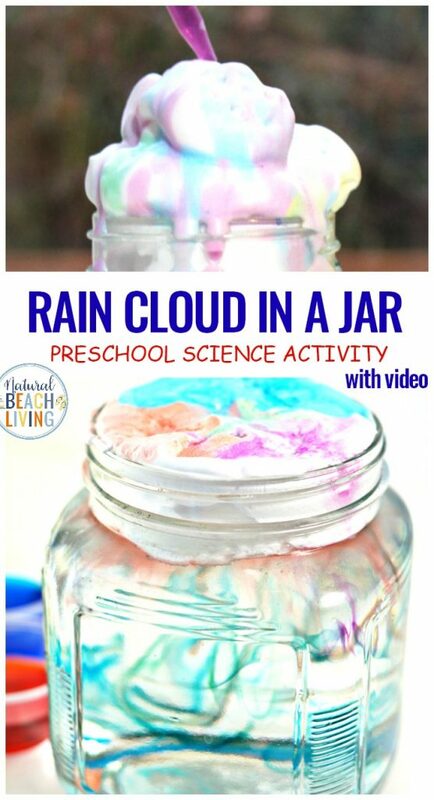 My kids love this rain cloud in a jar experiment. What you will need to make your oobleck is in this picture below. However, I have it displayed in a recipe list form to print out towards the bottom of the page. Have Fun! 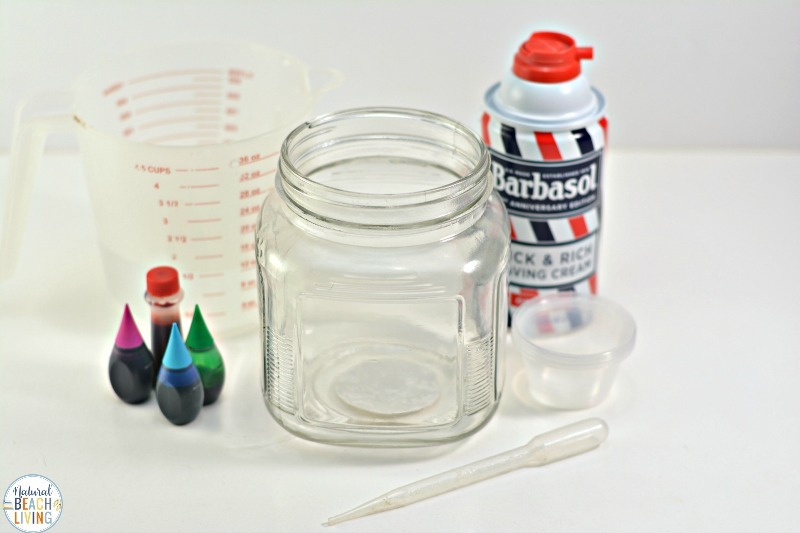 So now you see for this science experiment you only need a few items that you probably already have in your home or classroom. 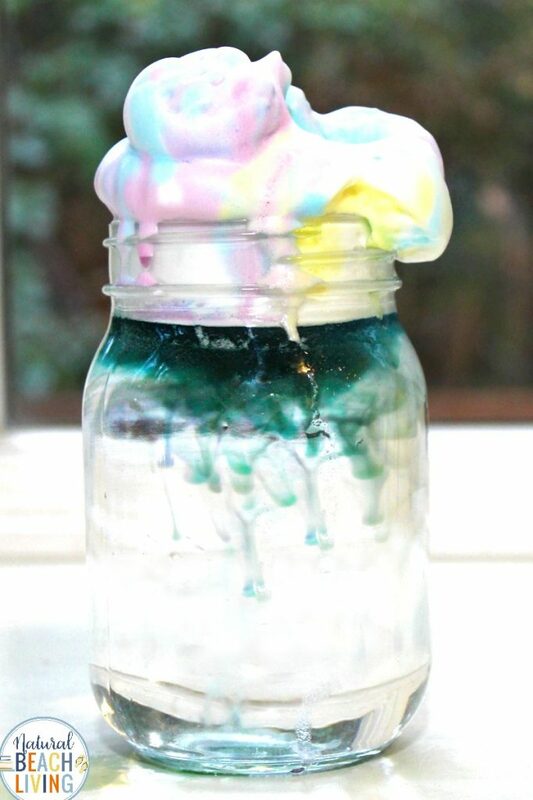 Shaving cream, food coloring, and a glass jar or clear cup will do. 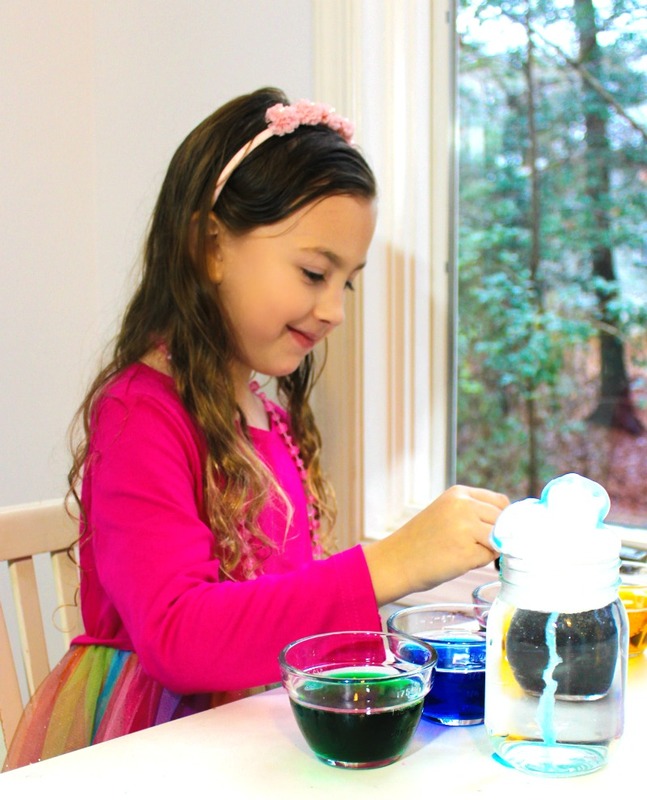 Have your kids fill their pipettes or droppers with the colored water and squeeze it onto their cloud. 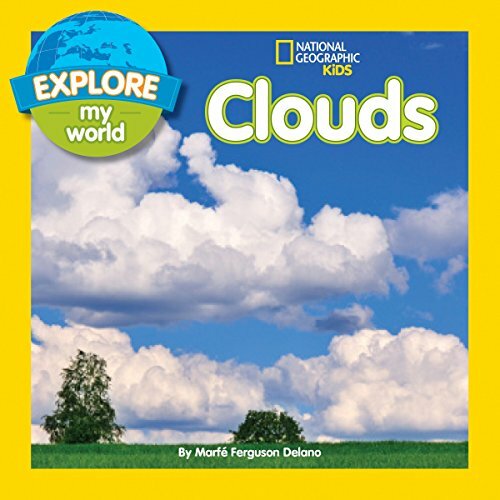 Let’s talk about how clouds work. Clouds are formed when water vapor rises into the air. When the vapor hits cold air, it turns back into droplets of water. 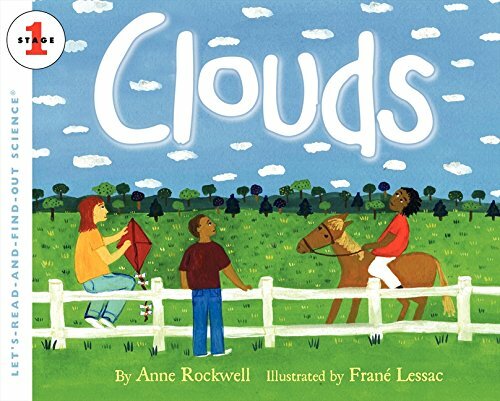 Those tiny drops of water floating in the air collect and stick together to form clouds. 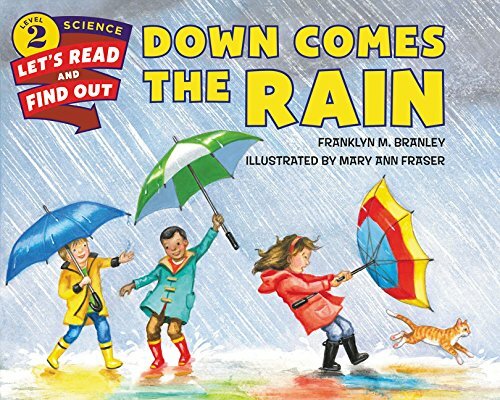 When clouds get so full of water that they can’t hold any more water, the water falls back to the ground as rain drops. As your cloud fills up, the food coloring will fall down into the water creating a rain-like effect. 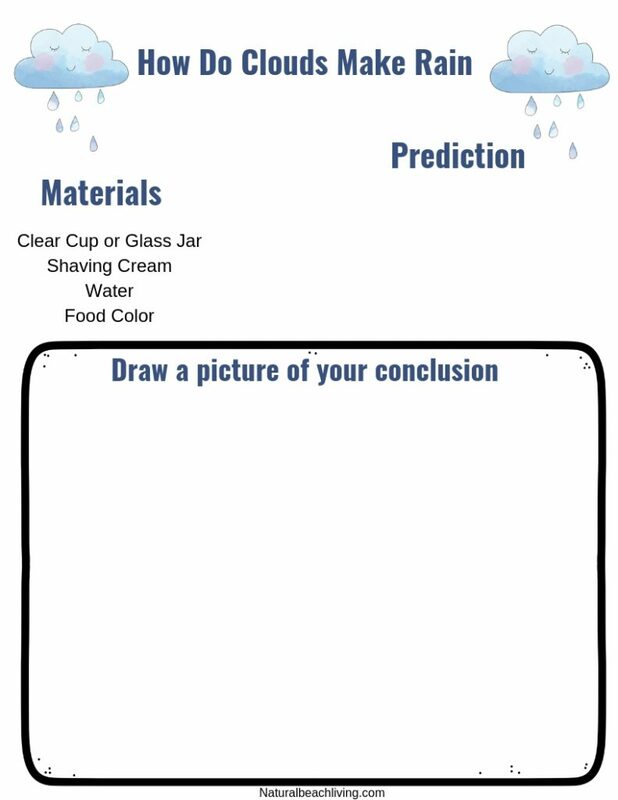 The Rain Cloud in a Jar experiment is a great way for children to get a visual of the water and cloud cycle. My kids love doing this activity and I hope yours do too. 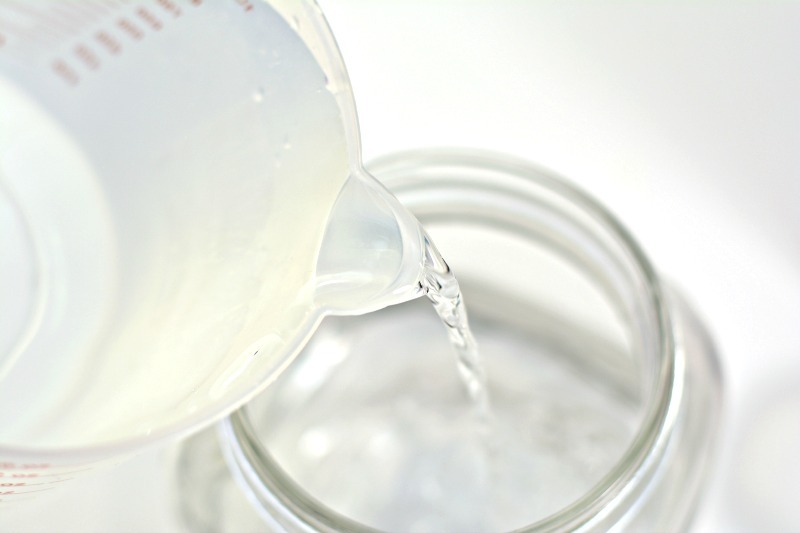 Begin by filling your jar or see through container almost all of the way to the top with water. 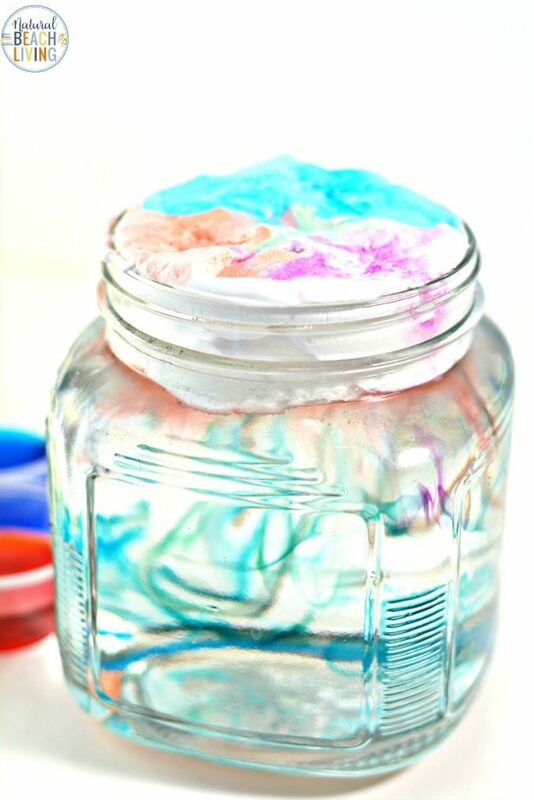 Layer shaving cream on top of the water to the top of the jar or container. Fill some small cups up with water. If you are using liquid watercolors, you can pour them directly into the small cups instead. 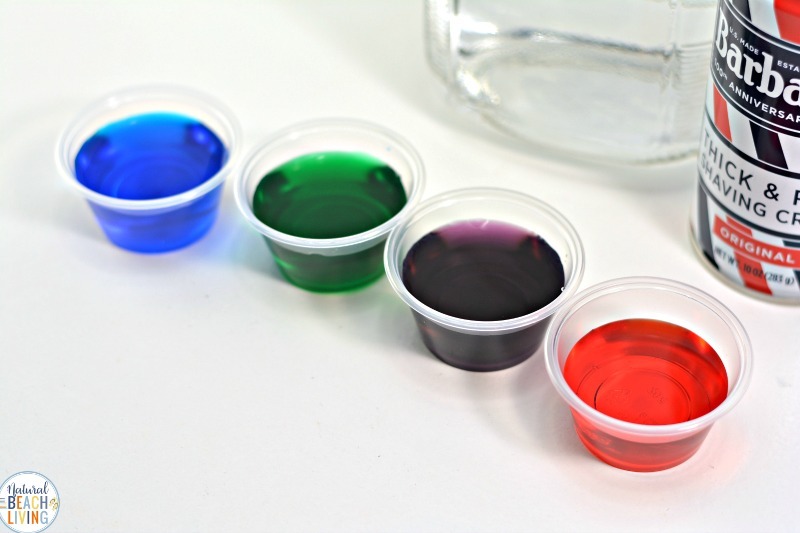 Place a few drops of food coloring into each of the small cups of water and stir. Again, if you are using liquid watercolors, you can skip this step. 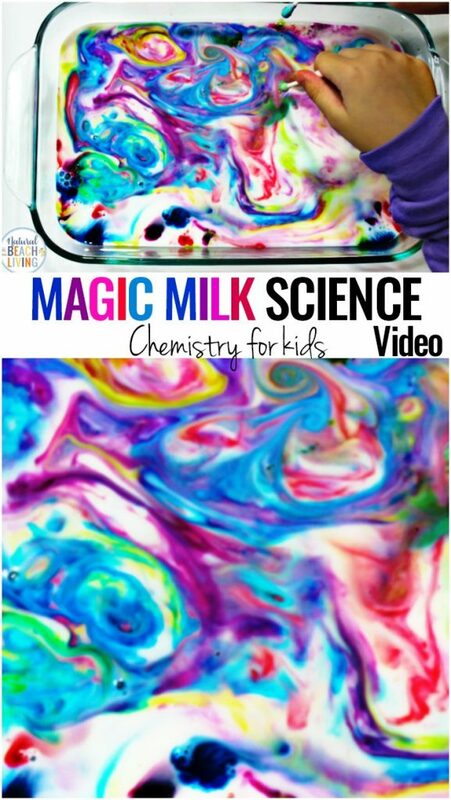 Alternatively, you can drip the food coloring directly onto the top of the shaving cream without diluting it in water, but it will seep through much faster, and the colors will muddle together quickly, not allowing you to get the whole effect for long. Using an eye dropper, have your child add drops of food coloring/colored water to the top of the shaving cream cloud. Watch as the colors seep down through the “clouds” and begin to rain into the jar.